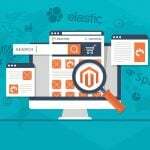 Amasty has a considerable portfolio of Magento 2 modules, and, of course, there is a place for a Magento 2 search extension there. 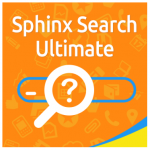 Meet the Advanced Search plugin – a tool that completely revamps the way the default Magento 2 search works. So, what are the Amasty’s benefits over the out-of-the-box solution? Below, we describe this Magento 2 advanced search extension in the closest details. The Amasty Advanced Search Magento 2 module allows increasing the effectiveness of search by adding attributes to the search algorithm. As a Magento 2 administrator, you can easily specify their weight, customizing search results display according to your ecommerce needs. From the other side, customers get an excellent opportunity to filter products by such parameters as material, color, manufacturer, and more. Besides, they can quickly add products to cart without even leaving a page on which they interact with the search window – the Add to Cart button is seamlessly integrated into the popup, dramatically improving the default shopping experience. As for popular and recent searches, they can be displayed once a visitor clicks on a quick search window. As a Magento 2 admin, you can set a limit on the number of shown results. Also, note that the recent search block can be displayed only after a necessary word was typed. 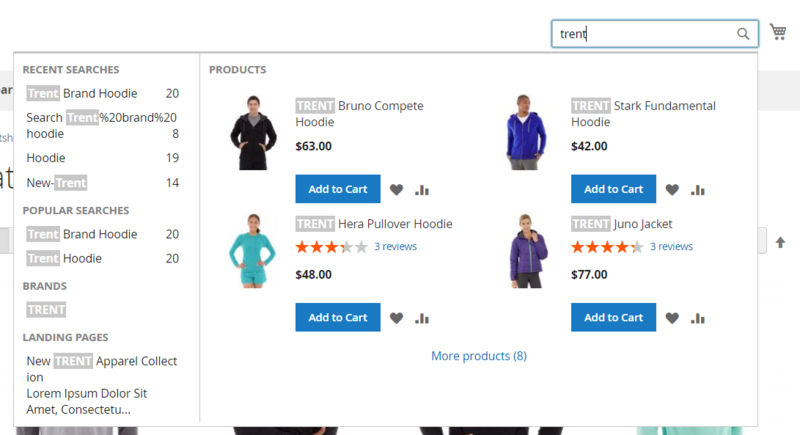 As for the Magento 2 category search, it allows adding a separate block to the popup that displays relevant categories. To make the block informative and clear, you can set a limit on the length of category names and descriptions. The Magento 2 advanced search provides similar opportunities when it comes to CMS pages. Moreover, it is possible to display search results in the landing pages and brands sections of a popup window, as well as utilize the search functionality on a website’s blog. Besides, the module allows dividing search results into convenient tabs. Product reviews and ratings can be displayed among search results as well. This way, you provide customers with a better understanding of what to choose. It is also necessary to say a few words about available Magento 2 search autocomplete parameters. 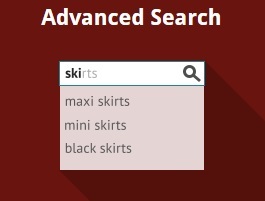 We have mentioned above that the Magento 2 search autocomplete is available in the Advanced Search module. The feature can be customized by specifying a minimum number of characters that triggers the function. Besides, several design options let you customize the appearance of the popup window and its sections according to your store style. Let’s see how all these features are implemented in the backend of the Magento 2 advanced search module. First, we would like to describe how to configure the extension. The necessary backend section is located under Stores -> Settings -> Configuration -> Amasty Extensions -> Search Pro. All settings are divided into 12 groups: General, Search Attributes, Recent Searches, Popular Searches, Categories, CMS Pages, Products, Landing Pages, Brands, Blog, Custom Layout, and Elastic Search. The first one allows users to specify the width of the popup, a minimum number of characters which triggers it, as well as enable redirect to store search results from a broken URL. Here, you can also set a custom SEO friendly URL for default search results page, create a URL key for search results page, and enable separate tabs for the Products, Categories, CMS, and Landing Pages search results. In search attributes of this Magento 2 advanced search extension, you can add all the necessary attributes and specify their weight. The Recent Searches block allows turning on the feature and enables recent search functionality on the first click. Next, you specify a block title, position, and maximum qty of results displayed there. In Popular Searches, you have the same settings: enable/disable the relevant feature, allow displaying it on first click, specify a title, set its position, and type the number of results to show. The Categories block can be configured in the following way: enable it, type its title, choose a position and max number of results, and set limits on the name and description length. 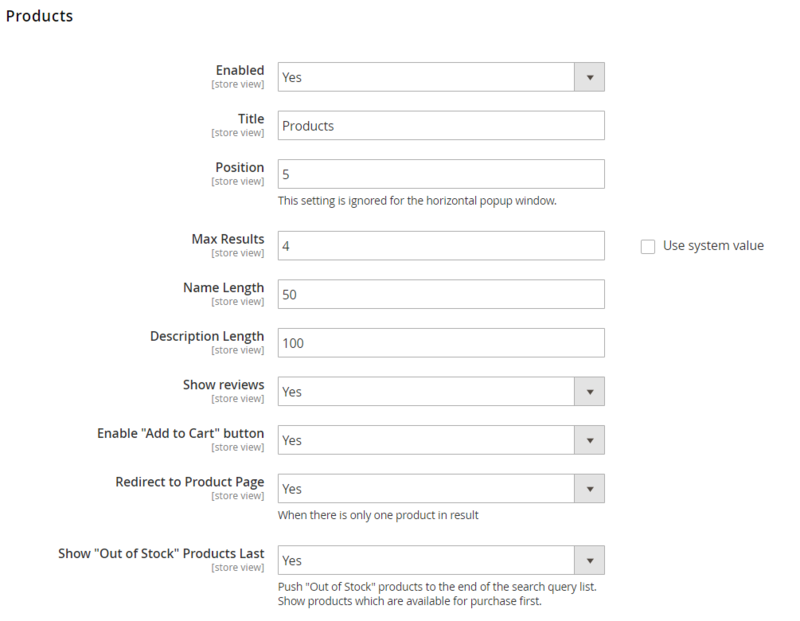 In Products, enable the feature, type a block title, specify its position and max results to display, and set limits on the name and description length. 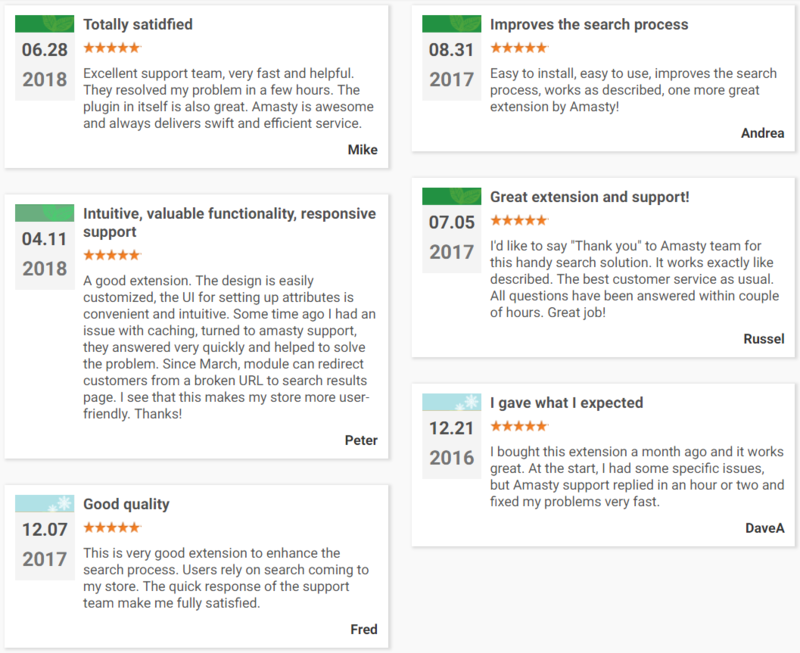 If necessary, allow showing reviews and the Add to Cart button, as well as enable/disable redirect to the product page (in case of only one search result) and display of out of stock items at the end of the results list. As for the Landing Pages tab, you can enable the search function based on landing pages, create the block’s title, specify its position and the maximum number of results to show, as well as content and content heading length. 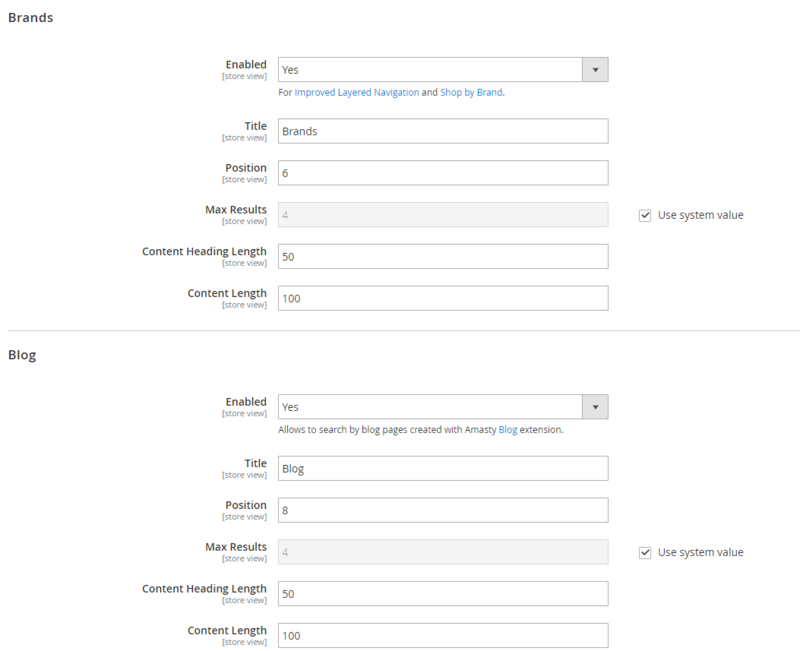 The Magento 2 Advanced Search module offers the same options for configuration of the Brands and Blog sections in the search popup window. Custom Layout settings allow specifying colors for such search popup elements as text, hover text, background, highlight, border, and hover. In the last tab of the Magento 2 Advanced Search module’s settings, you can configure the elastic search functionality when it is installed on your website. 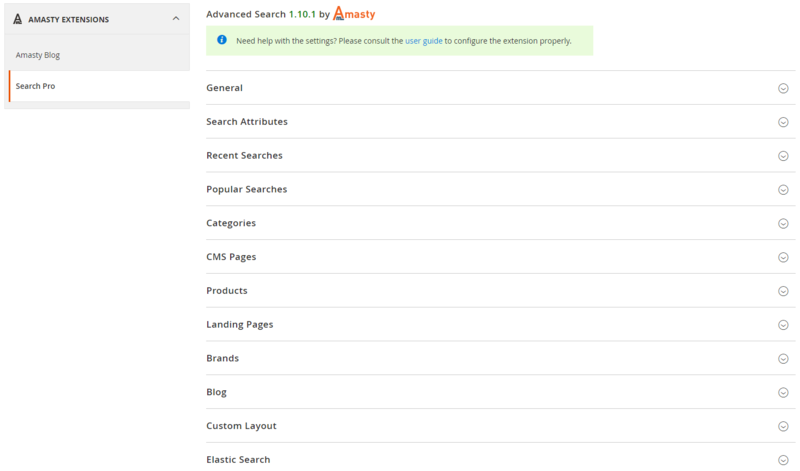 Now, when you understand how to customize the Amasty Advanced Search Magento 2 extension, let’s see how it works on the frontend. 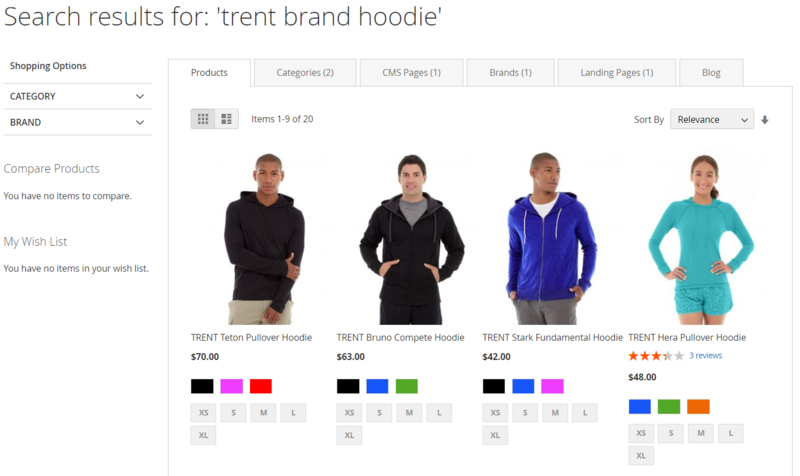 Below is an example of search by the brand name Trent. 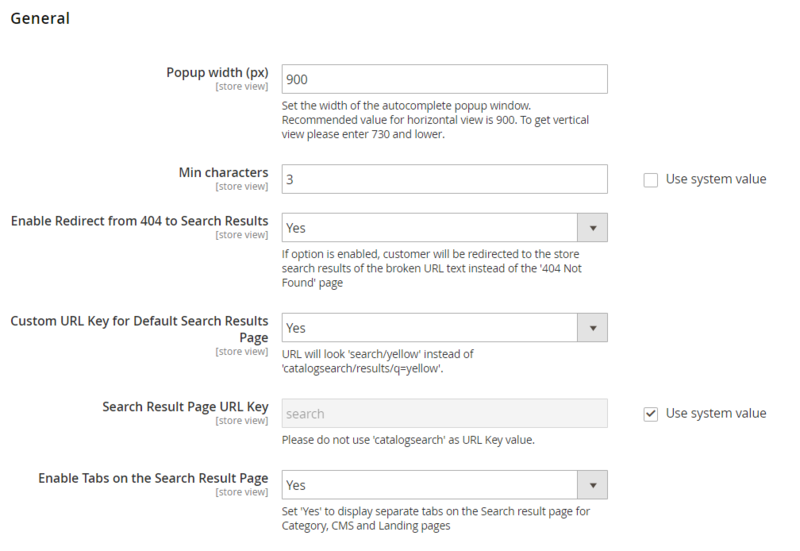 Here, Brands and Landing Pages sections are added to the popup window, showing relevant results for the inserted query. In the next frontend example, you can see how the Magento 2 extension divides search results by tabs for more convenient browsing experience. Updated design of the autocomplete popup window: horizontal view display for the desktop and vertical view – on mobile. New: now, if only one product has been found, the user is redirected to the product page.